It was a first for us to transport any timing system by launch. 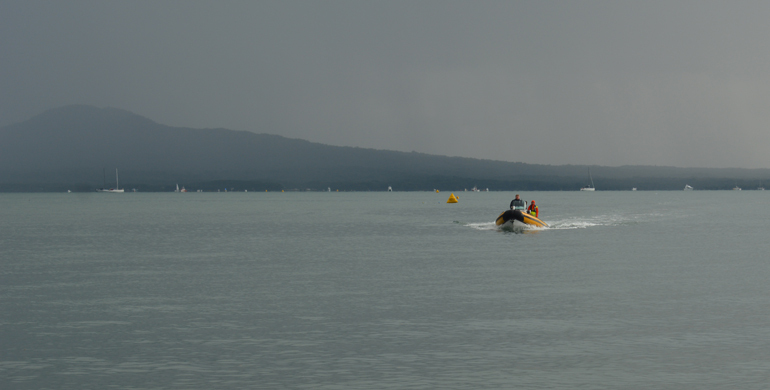 Pamela timed the start of today's Auckland Central Masters swim on Rangitoto Island then came back to St Helier's Beach with the equipment on a CoastGuard launch. Our thanks to the Coastguard for the much appreciated assistance.